Sampling Ice Wines Peller Ice Room. Take the stress out of organizing a wine tour and leave the arranging to us! Picking guests up at the Toronto Fairmont Royal York Hotel or Union Station, our guide/chauffeur transfers them in 90 minutes to a world of beautiful vineyards and magnificent wineries in the Niagara On The Lake wine region. 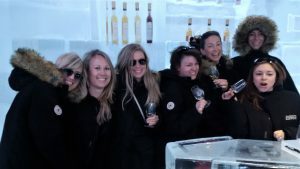 Renowned for its Rieslings, Chardonnays, Pinot Noirs, Cabernet Sauvignon, and world class icewines, our guests will have an opportunity to sample these and other award winning wines at some of the most impressive wineries in Niagara On The Lake. 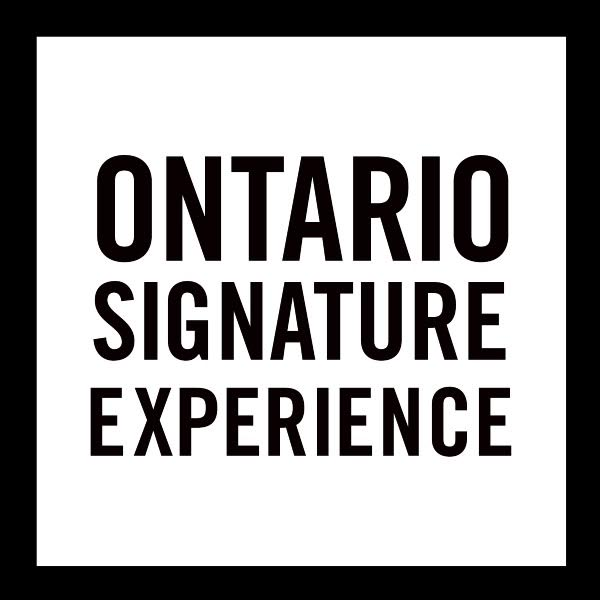 Guests will visit four of the finest wineries in the Niagara On The Lake Wine Region. First stop is Peller Estates for their Greatest Winery Tour which begins with a sample of one of their most awarded wines, Ice Cuvee. Glass in hand a wine consultant takes guests into the Estate Vineyard to describe soil and other conditions that contribute to the unique characteristics of their award winning wines. Then descend into the underground barrel cellar to savour another tasting among the 300 wine barrels. Move from there into the coolest place in wine country as guests are outfitted in classic Canadian parkas. Step into the first ever winery ice bar, a 10Below Lounge and the perfect icewine climate to top off the tour with liquid gold. An awesome and unforgettable experience! 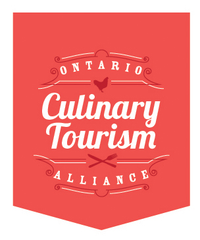 Relax over a gourmet lunch at the award winning organic Ravine Vineyard Winery and Restaurant, looking out over its beautiful vineyards or enjoy lunch at the Old Winery Restaurant, one of Niagara On The Lake’s most popular local restaurants. After lunch visit the impressive Two Sisters Vineyards winery for samples of their outstanding wines; Reif Estates, one of the original Niagara On The Lake wineries situated on the famous Niagara Parkway; chic, glass enclosed Stratus Vineyards; or one of several other world class wineries. Price: $159.00 per person plus tax includes return transportation, guide/chauffeur, visits to four wineries with a tour of one and samples at each, and lunch at one of two restaurants. Our tours are more intimate with four to 10 guests travelling in comfortable passenger vehicles. 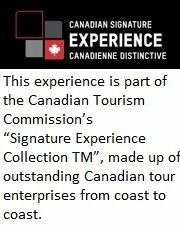 Private, custom tours for four or more guests. Group tours also available.